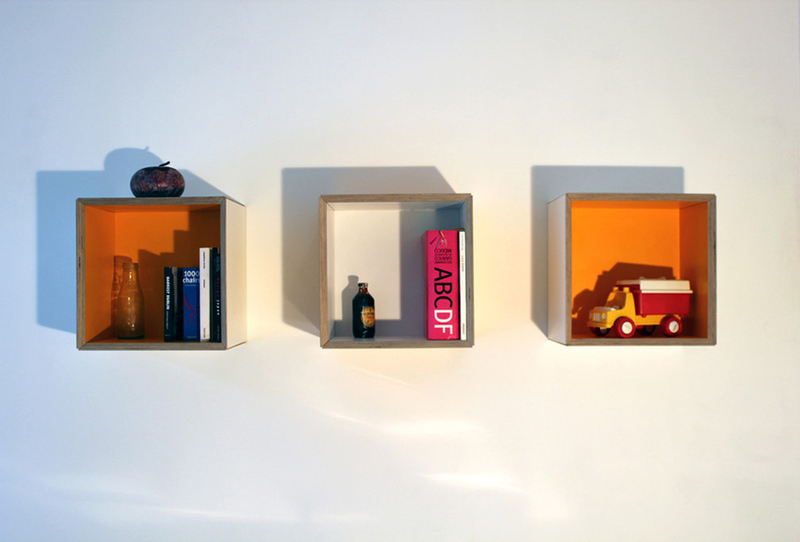 Hand Made set of box shelves that can be arranged horizontally or vertically. 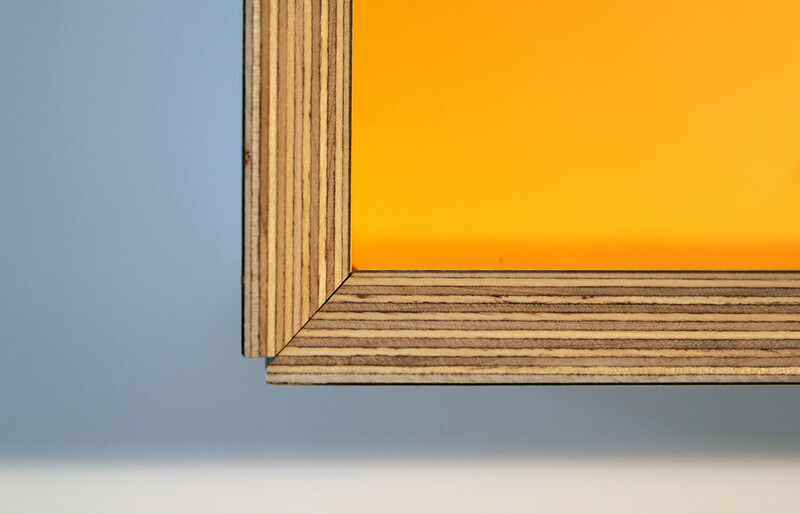 The boxes are made from an engineered board call birch plywood. This is a high level board used for the manufacture of cabinets. It's a favourite of architects everywhere. The outside is clad in Formica - the classic laminate made to be abused. This material, combined with the birch plywood core, will ensure that these box shelves will be around for many years. Each box comes with a mounting hook that is to be fixed to the wall using 2 screws (plaster plugs are also included). The basic tools required for the hanging of the boxes are a screw driver/6mm drill bit and sprit level or a steady eye. The wall hook is adjustable left and right. Dimensions: 400mm high x 400mm wide x 300mm deep.